I write stuff. I buy stuff. Yes, I do. It's time to come out of the closet. I write, I am an author, and I also like nice things. I know I should abjure all fripperies in favour of sackcloth and the ashes of the latest manuscript, and 80 days out of 100 I do, but then you see when I come up for air, I fancy a handbag. And when I am preparing to write a novel, I don't think twice about buying a beautiful new notebook, a heavyweight fountain pan, a scented candle and other items for the altar of my writing desk. I keep the bag, and maybe the wallet, close by to look at them to remind me of what will happen when I come into my kingdom, when my books are back on the bookshelves and I'm having mild panic attacks on radio stations. Then, when that day comes, I will look like I'm smart, I say to myself. I'm ready! You can plan all you like, but at some point you've got to write. So you have to know when to stop. If you plan too far you lose the will to write and the magic that happens in the writing and the walls of fear start to go up and get higher and higher until even doing the ironing looks good. So get a good handle on what the success factors are for the book you're writing, roughly lay them out. Enjoy your background reading until the point it gets quite obscure and you're in danger of being didactic. Cross the knowledge threshold and you're a preacher not a writer. So stay back in the realm of slightly unsatisfied curiosity and don't cross over into the vanity of the realm of being a know-it-all. Writers don't know it all, that's why they write books. Ok, writers aren't 'writers' like its a breed of livestock - they're people - who are telling a tale for two people and both those people are them. We write, don't we, in spite of people. Is that a rotten thing to say? Or is it the truth that as you grow older the hoary old hands of love clutch at you, hang round your neck, and the babes in arms are six foot and still you carry them? Man, beast or child, love is a lot of carrying. And writers would like to be light. We write to disappear. Bit by bit, over time, or sometimes headlong. How I long to throw myself off a cliffside into a silent sea. Vertigo. What a way to verti-go. Catch An Era By the Tale. Oh, writers of fairy tales, and fantasy you may well be the Light Brigade! It falls upon your shoulders to consider nation-building that is not nation-building. And here’s is your leader, the Gandalf to a new alliance of dwarves, elves and writers: Jack Zipes. The era told in this collection of tales is chosen with prescient purpose, an era close to the precipice. 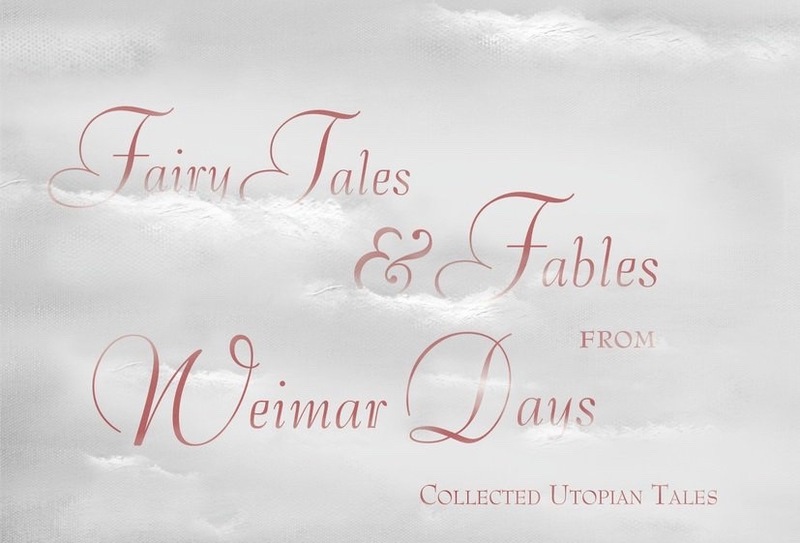 Mr Zipes, Jack, is the gentle giant of fairytale literary theory and it has been his life’s work to head straight to the punchline and explain why fairy tales work the way they do and why we are what we read. And Behold. The Magic of Transformation in Fiction. 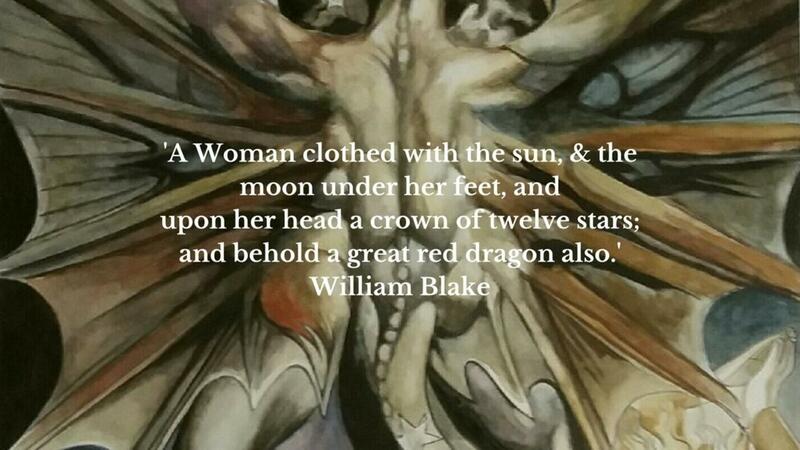 You've got to love William Blake. 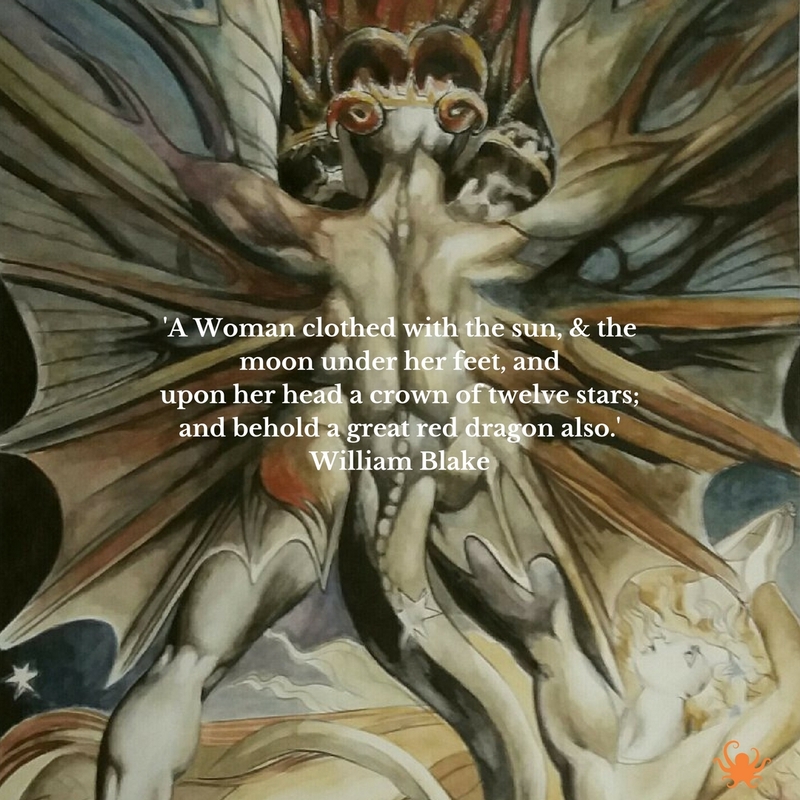 Blake has taken this from Revelations 12 but I love the way he cuts and splices the phrases and uses them as the springboard for his art which is so often fantastical and revelatory. I want to something to you about MAGIC. I know for some of you, you're as wary of this as if it's maths. That somehow bad breath and costumes are involved. When it comes to 'magic', there's a broad church, but what I mean by it in the Classic Course, applies also to those of you on the Ninety Day Novel; transformation. Writing a little book like a Classic. When on occasion, my writers they struggle to find words, I advise them to try writing less. That seems to work. So when I bill the new course that starts on Monday as 'How To Write A Classic' I hope you will not feel too awed. We are a community of writers dedicated to pushing, cheering, dragging, cajoling, bribing each other over the finishing line of 'The End'. The purpose of The Novelry is to make sure that each and every one of our member's manuscripts is 100% safe at submission. This means putting it through its paces and many, many rounds of checks and fine balances most crucially, in the final stages at the Members Lodge. None of these will apply to one of our manuscripts. We are men and women who have become comrades in ink. We turn to each other. We salute each other, we cheer, and yes, we do whinge a bit when the mood takes us. We like it that way. Kronos (or Cronus) was the King of the Titans and the god of time for the Greeks, a destructive, all-devouring force. He ruled the cosmos during the Golden Age after castrating and deposing his father, Uranus (Sky). In fear of a prophecy that he would in turn be overthrown by his own son, Kronos swallowed each of his children as they were born. Time is the old grandfather clock who gets tick-tocked off in fantasy fiction, particularly children's classics. If I had to choose between time and money, I'd choose space. Money wouldn't enter into it. Let's deal with lifestyle first, then we'll come to literature (and science) in next week's Sunday blog. As in you have a great deal to do and don't have enough time? Right-o. Yup. I haven't yet met anyone who isn't, have you? Where to find wonderland? In your dreams, babe. A few weeks ago, I dreamt that my legs were covered in thick, lupine hair. A pelt of fur. Then I dreamt a few days later of being in a clinic on a table with a cold steel blade tracing the bones of my legs shaving them. A few nights later, in another dream, the hairs on my legs were long, thick and golden stalks of hair like wheat in a field, with the wind blowing through them. On Saturday evening, last week, I was talking about the notion of our 'shadowlands' (the secondary world in speculative fiction) with a Kritikme fellow writer who had some very interesting mythological references to offer on the matter. That night I dreamt that I was reaching down to my nether regions pulling out single hairs that came out individually as black quills, like the spikes of a porcupine filled with black ink.